Dinner: 4 p.m. - 10 p.m.
Bar open until 1 a.m.! Lunch: 12 noon - 4 p.m.
Dinner 4 p.m. - 10 p.m.
Vito's has a 10 space parking lot on the west side of the building. There is also ample street parking near by. We will be launching our 20th Anniversary specials and events lineup soon! Check back for details! Join us this summer for our 20th Anniversary! Vito's can customize catering packages for your event. Vito's specializes in business lunch catering. You can view a sample of the menu online at vitosstl.com. 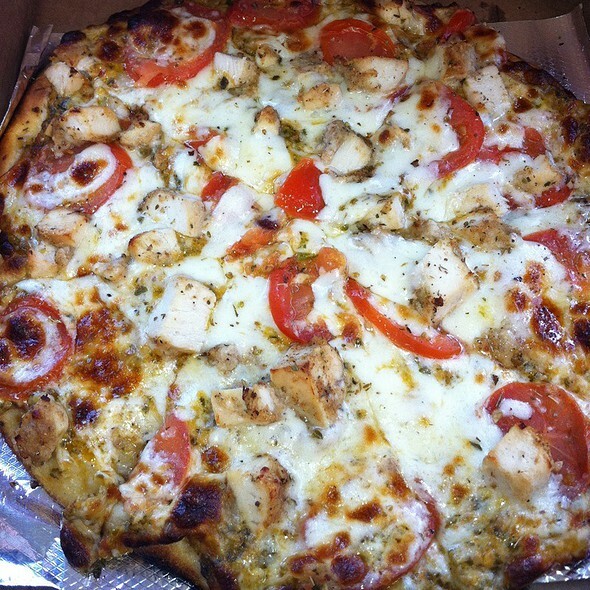 Vito's is a family owned and operated full service Sicilian Pizzeria & Ristorante. Located in the Grand Center Art to Theater district and across the street from St. Louis University. Vito's serves award-winning pizza along with other family recipes of steak, fish, chicken and a variety of pasta. thick! baked in extra virgin oliveoil, fillet of tomato sicilian sauce, light mozzarella, oregano. add additional toppings! My chicken was dry and chewy. My son's pasta was overcooked to the point that he would not eat it. The fried spinach appetizer was delicious. I should have made that my dinner. Always a great place to dine, especially prior to a performance at the Symphony, the Fox Theatre, the Black Rep, the Sheldon, Jazz at the Bistro and many other fine arts institutions in the area. Food is consistently well-made, service friendly and courteous, bistro atmosphere pleasantly bustling, plenty of parking in the area lots and on the street. Making the reservation on open table from the website was s little wonky (from phone and desktop computer). Everything after was great. Service was great (we had Jesse, I think his name was-sorry). Food was great. Efficiency was great. Got to the Fox in plenty of time for our show. I haven’t visited Vito’s in quite awhile, but used to frequently. I will be back sooner rather than later. Some of the best food I’ve esten at a restaurant; and I’m Italian and speak Italian. Both visits to Vito’s the service and food were excellent. Nice leasurky time with our friends. Noise was rather loud and ongoing, but it’s SLU and pizza after all. To be expected. Also my friend lost a blue flowered scarf she left on back of chair. If you found it, I’ll come pick it up. Been to Vito's many times before going to Jazz at the Bistro. Always good. Fabulous food. Great service. Wonderful restaurant! I cannot believe how good that pizza was. We ordered a veggie pizza. The crust is the perfect balance of crunchy and chewy. It was cooked to perfection. There was just the right amount of sauce and toppings. We ordered the cannoli, italian wedding cake and tiramisu. It was all heaven on a plate. Well done. We go to Vito’s every chance we get. That’s a good, short review. Jesse was the best waiter. He was attentive and personable. Celebrating my birthday with a friend. Waiter was helpful in helping me avoid dairy due to an allergy. Steak melted in my mouth. Food was excellent, service was prompt, our table was ready before our reservation time. Would recommend the BLT pizza! Vito's has been our go-to for special occasions or when we are in the Theater District and want the best for many years. Every time the service has been great and the food outstanding. We have also always found on street parking close by, and usually walk to Powell or The Fox. Love this restaurant. Dinner before the Fox. Caught in traffic. Cheerfully moved our reservation back. Love Vito’s! Tasty food and great service this evening! Chicken Piccata was terrific! Food was delicious but a little expensive for the portion size. Waiter forgot to bring appetizer until after main dishes arrived and she had difficulty creating separate checks. 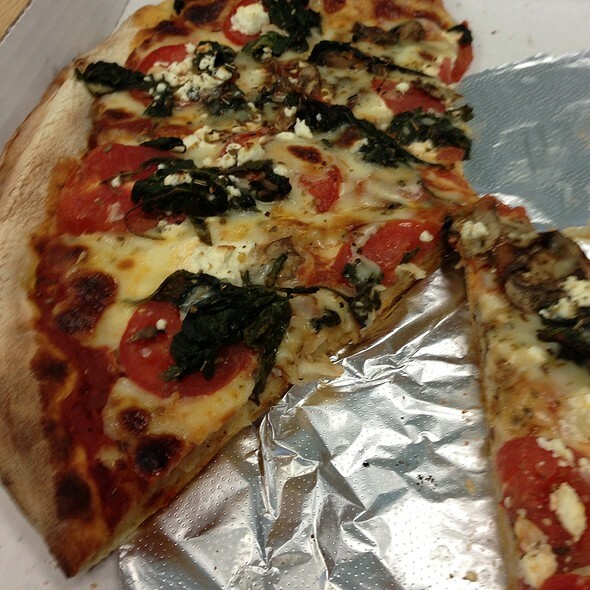 Vito’s has the absolute best and most authentic Sicilian pizza in all of the St. Louis area! Always great food, always great service!! The calamari was pretty good, my Caesar salad was SOAKED/DRENCHED in dressing and the homemade croutons were not dried out enough that they stuck to my teeth like taffy. My husband enjoyed his spaghetti and meatballs (although the serving could’ve been for two people) and my seafood ravioli was just alright. I could go on and on about the lackluster service, the small but important things regarding outdated decor, the haphazard fixes to the restroom and the very sticky floor and much needed paint job of the booth walls but clearly this visit was our first and last time to Vito’s. Good luck. It's not a cheap place to eat, so you'd expect at least the food or service would be great. Neither was. The sign on the door says it opens at 4:30PM. We sat out front for a few minutes then walked in at 4:31PM and there were 4-5 tables seated. So we got a bad table. Nobody cared. The food came out in bursts...six of us starting our meals at different times. Not cool. So we had to wait for the 6th to finish his meal, which he didn't because he felt self conscious. Not cool. Then to add insult to injury, they tried to stiff us on the Opentable points. Why? We (party of 4) found the whole Vito experience tremendous from the friendliness of the staff (Sean and Vito especially) to the great salad and pizza. I am a pizza connoisseur and am always on the hunt for a superlative pie with the appropriate doneness; sauce and ingredient blend. Vito's was right up there with any I have found in the area. I also appreciated their concern for our Fox Theater timing - all was just wonderful and we will be back - you can bet on that. Good food and good service! The food was a very good value. The waiters and waitress were very attentive. I would recommend this to my friends. Easily one of our favorites. Great location and the Sicilian pizza is to die for. The food is great every visit? It's a smaller place so it can feel a little crowded. Cynthia is amazing. 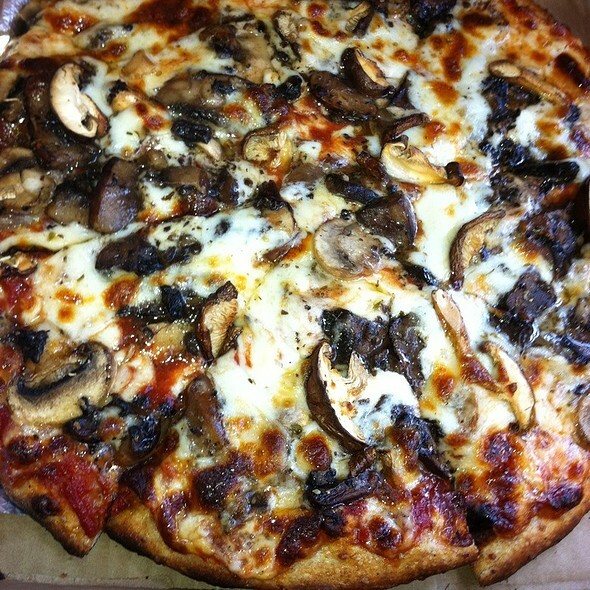 Vito's is delicious! I love the red sauce, it's the real deal. They do not have a good vegetarian option in the buffet. They put meat in the pasta, soup and also in Pizzas. If you ask for veggie Pizza you have to wait for long time. Great food but the service was slow for not having many patrons. Appetizers took a really long time. Laid back and minimalistic. Clean and simple pizza joint. We were early, but were seated right away. The booth was super small - but it worked. The wait staff was friendly and knowledgeable. It didn't take long to get our food - it was hot and very, very yummy. Since we were celebrating my birthday we enjoyed a piece of their Italian wedding cake - Oh my goodness - I've never had melt in your mouth cake before. It was so good. The dining area is pretty cramp. I was sitting at a table for two, one side was a bench and the other a chair. I was sitting in the outside of the table in the chair. The aisle behind me was only about two feet wide ans I always felt like someone was going to run into my chair. Our main course arrived about 15 minutes after we ordered. My wife had salmon, and, I had chicken. I could tell that the food had either been kept in warmers or was reheated. My vegetables were hardly warm at all and the noodles were about the same. We had two meals and two salads. The bill with tax was right at $61.00. I felt for the quality of the food it was much too expensive. I would not return or recommend this restaurant to a friend. Packed—-and due to the fact that there was a party of SEVENTEEN who did not vacate their tables in a timely fashion, several parties were not seated by the time of their reservations (including OUR part of four). BUT....the servers were really GOOD and seemed to take everything into stride! Our server was patient and very pleasant—-especially considering the large party had several small children which were literally running all over....definitely a hazard to servers!! Kudos to servers for holding it together!! The waitress was interested in our group and immediately sensed what we needed. Wonderful food and great service. Will definitely come back. Attentive service without being intrusive. Delicious sauce on the pizza. Cassata was wonderfully light. Great beer selections on tap. Waitperson was knowledgeable about the beers, and let us sample the two we were deciding between. You can reserve a table or a high top, it’s nice to have that option. Food was outstanding. Everything was delicious and totally worth every penny.